The Gist: Drink bloody marys. Write about them. Get paid. Longer description: The Drunken Tomato is seeking freelance writers/bloggers in San Francisco and New York City to contribute regular blog posts to our website. Content must be original and brunch related and may include a variety of topics, such as, brunch/bloody mary reviews of restaurants, brunch fashion tips, city guides, event coverage, brunch related advice, rants, etc. Our content thus far has been very focused on bloody marys, however we are looking to expand and open to new ideas. Not in one of these cities? Pitch us anyway. We can be swayed. have some experience with social media. Familiarity with Wordpress is a plus. The pay is terrible, but I promise it will be the most interesting line on your resume. And it will probably cover at least a couple cocktails. Or at the very least, 6 PBRs on happy hour. The Drunken Tomato does not reimburse for "research" costs (i.e. brunch/bloody mary/clothing/etc. costs). But as bloggers, there are often ways to get these comped. Please reference "Blogger - (insert your city)" in the subject line of your email. Longer description: The Drunken Tomato is seeking a marketing intern to increase brand awareness and shape our external voice. We're basically professional day-drinkers, but maybe we could say it better. have a fun and creative approach. assist in developing an overall marketing strategy for both our e-commerce and news divisions. Additional opportunities available, including email marketing, landing page design, digital advertising and content marketing. I can write a killer recommendation. If we all play our cards right, it could become paid. Please reference "Marketing Internship" in the subject line of your email. 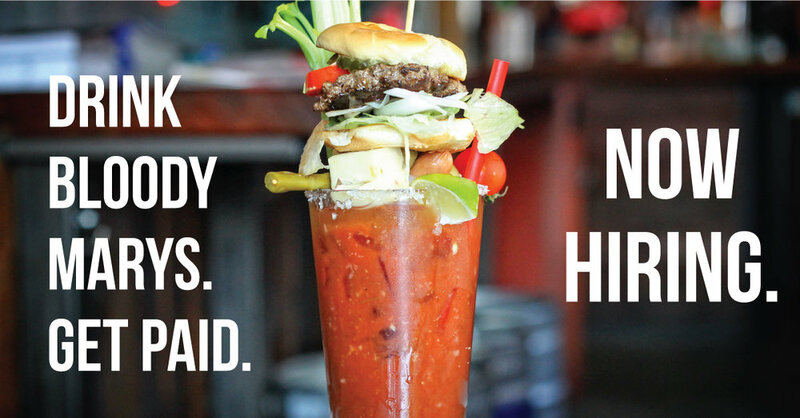 The Drunken Tomato is an online community for all things bloody marys. As both a news source and an e-commerce site, The Drunken Tomato offers users access to brunch related news, reviews, and events as well as unique bloody mary related products.